All you need is a love for animals, be 18 years old, and all the training you need is provided through monthly training meetings and online classes. -Emergency Animal Sheltering, for found animals along with sheltering companion animals of families displaced in the disaster. -Provide accurate and detailed record keeping, as to care received, assessments and tracking information. – Assist Law Enforcement with round ups, animals running at large, getting them off the roadways to safety. – Assist Veterinarians with intake exams. WC DART Team members are expected to attend monthly meetings and participate in community events. 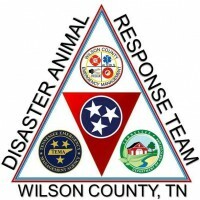 Completing FEMAs Independent Study Courses, listed below, will prepare you for TN State DART Credentialing Class, offered by TN Department of Agriculture, State Veterinarian’s Office. FEMA IS -800 National Response Framework Intro. As you complete the IS Classes, Print off the Completion Certificate to take to Credentialing Class. Keep one copy for your records also. January meetings kick off the New Year with Orientation to WC DART. Interested in Volunteering? Attend the January meeting, check out the Team meeting and see if WCDART is the Team for you …. The 2018 Schedule has been submitted for approval, it will appear here …. soon!